JoyOfCoding is a one-day conference celebrating the art, craft, science and joy of software development, backed with a schedule filled with great speakers and packed with knowledge. This edition was held May 29 2015 at the Van Nelle ontwerpfabriek in Rotterdam. Like you, we’re a bunch of developers who like going to interesting conferences and meetups. So there will be no commercial agenda or ulterior motive to Joy of Coding. 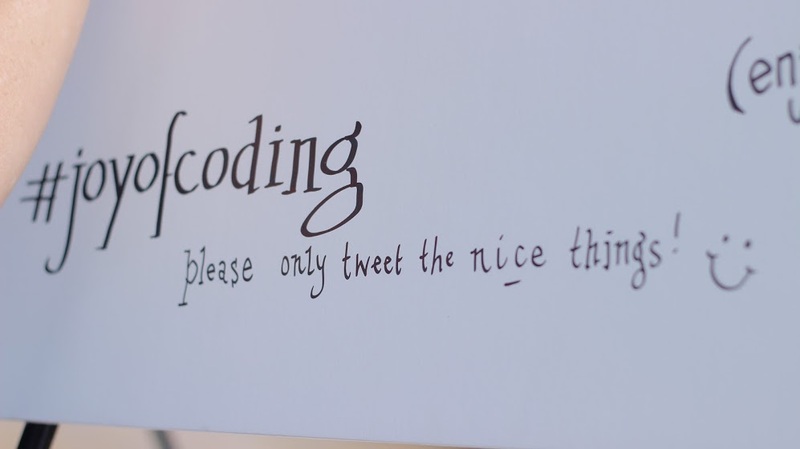 It’s just a place where we can all get together and talk about code. and of course all the 280 visitors! The video was very well activated on Social Media.